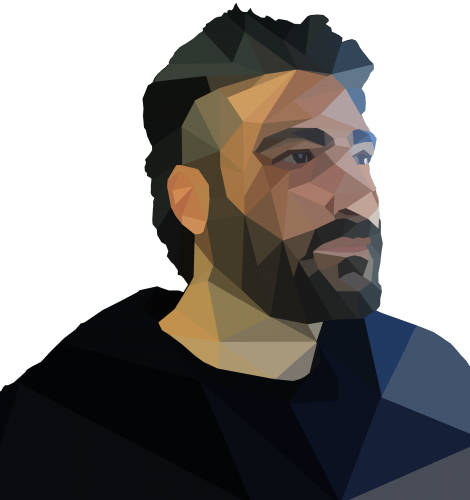 Jude Regev is the CEO of Jointer. Jointer’s AI and blockchain technology underwrites and clears commercial real estate security tokens for instant trading, which allows property owners to issue legal ICOs free of charge. My name is Jude Regev, I’m a serial entrepreneur from Israel having had 5 companies and 3 exits. I relocated to the US 5 years ago without any knowledge of the English language, so I had to teach myself. My only hobby is real estate and the story about how Jointer was created through finding myself a solution for my own need as an investor. 3) What problems do you solve and what are the major Services provided by Jointer? In the real estate industry, issuer of security require to follow extra regulations that require conducting an evaluation report by an independent appraisal, disclose a history performance of the property, underwrite a property future performance, disclose a principle track record, run a title check to disclose debt and liens and many others. Also, an issuer must register the property as a security, use a Private Placement Memorandum (PPM) with a full due diligence information report, disclose all the risk factors and be in compliance with worldwide tax regulations. This is exactly what Jointer solves by acting as a clearinghouse intermediary between investors and property owners, protecting both sides by ensuring that transactions happen as planned, are compliant with all regulations and handling the maintenance and distribution transparently of all materials and information. Our main service is not only to protect investors but it’s also to allow property owners to have an underwriting and the marketing to launch an ICO at zero cost. 4) What is the technology behind Jointer and what are security tokens? Real Estate is considered based on the SEC regulation as a security that can be sold only to accredited investors (high income & rich people) or under specific cases even to not accredited investors if the security has been pre-registered with the SEC for public offering, which is a very long and costly process. Therefore, unlike utility tokens such Bitcoin and ETH that can be sold to everyone, security tokens that represent a fraction of a security such as real estate must have special features that are verified whether or not the buyer is an accredited investor. 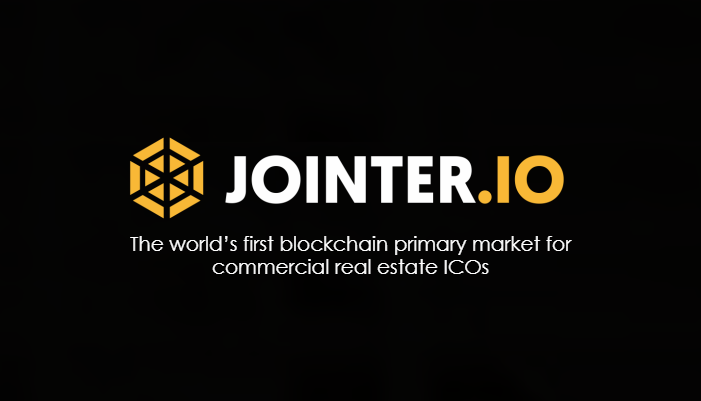 In the last 3 years, Jointer has developed the world’s first machine learning based prediction algorithm that is capable of using the address only to instantly analyze any commercial real estate property and provide a forecast of the potential worth for the next ten years. 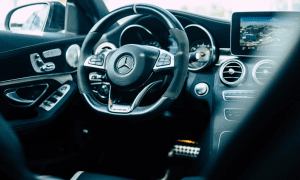 Alongside this, Jointer also has created a community-based sharing economy model with more than 500 professional underwriters that are working from home as a second job and help other users to facilitate deals. To properly onboard worthy properties and potential investors, Jointer presents only opportunities that already have been analyzed by professional independent underwriters and verify key components, like the owner’s identity, the condition of the property, the debt ratio, the current value of the property, the market trends and risks, the potential ROI and dividends, and more. Later, Jointer ensures that the owner stays with some equity which is an incentive to take care of the property and to perform the dividend distribution process for investors as promised. Also, Jointer creates a system that allows non-accredited investors to participate as well. Who is going to check if the owner is the true owner of the property and not just an anonymous person trying to offer tokens for properties he doesn’t actually own? Who is going to check if the property has liens or debt to the bank and owner is not trying to sell more equity than he really has available? Who is going to check if the owner is not selling the property for a double price? Who is going to verify the past and analyze the future property performance? Who is going to check if the owner is not selling all 100% of his equity and leave the investor with no principle behind to manage the property? What kind of power will small investors have to force the owner to share dividends as promised? All those problems and many more are the reasons why investors require a regulated primary security market and a clearinghouse with due diligence and transparency like Jointer. 5) What is the market size of Blockchain in commercial real estate? The commercial real estate industry is one of the biggest industries in the world with a $27 Trillion market. We believe that over the years, in some point in the future, most of the investment in this market will be made by selling fractions of properties like it was stock on the stock market. 6) You have 7,017 Analyzed multifamily opportunities in your system tell us more about this. The system already started to run analyses of 7000+ opportunities and so far the AI identifed 300+ lucrative opportunities. 7) Your website shows over 2,121 Capital partners who have already signed up & ready to invest with you, how did you come about this? You already have 1,052 Attractive Joint Venture opportunities & Off-market deals and your website shows $5.99B Capital available to invest, could you explain these to us? Investors that registered with Jointer have been asked to give a soft commitment for investment and so far we have $6B pre-ordes. We have a worldwide team from US, Europe, Israel and Asia, so when someone sleeps, someone else is working therefore we are here 24/7 to give support as much as needed. Also, we created a community-based sharing economy model with more than 500 professionals who are working from home as a second job and are helping other users to facilitate deals. 9) How Safe is the Jointer project, would you like to talk about your legal and security measures? Jointer takes legal and security very seriously, we work with large top world legal advisors that include the previous chairmen of the SEC in order to make sure we comply with all the regulation in US and around the world. We believe that every system, no matter how secure it will be, will be able to be cracked down. Therefore the Jointer system will be a closed system (like the Apple concept), which means that even if hackers break in, they can’t take the money out, since all dividends land in Jointer’s built-in wallets and can’t be distributed to external wallets.